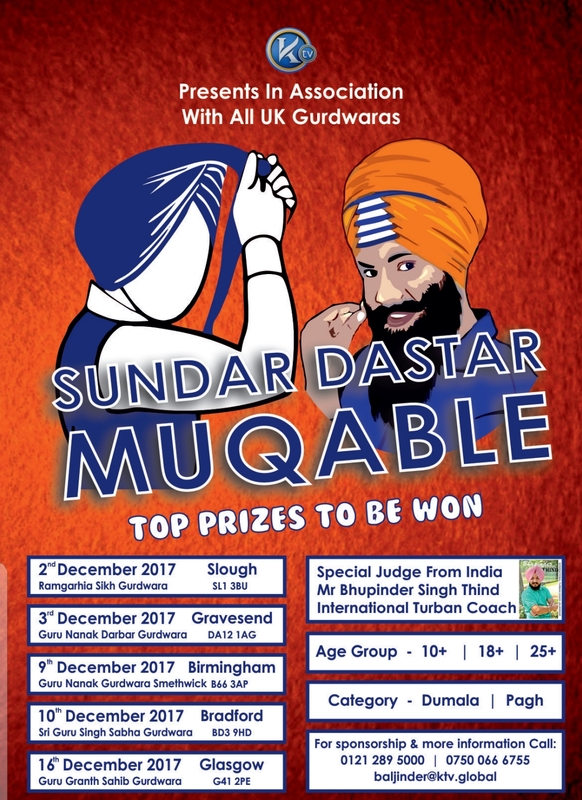 For the first time in Scotland, ‘K-TV’ will bring ‘Dastar Muqable’ to Glasgow, to inspire and promote the Sikh tradition of Dastaar-tying/Turban tying. This is a unique event and the perfect opportunity to learn about Sikh history and the Sikh identity. Come along on Saturday 16th December and join us for this unique event!